How is that for a few acronyms? During this next decade, the vision and demands of the CCSS expectations as well as the research on best practice for highly effective mathematics teaching and learning will look very different from much of the current reality in our K-12 classrooms. Most noticeably, all grade level teachers will be expected to work together as they teach for meaning and understanding rather than rely solely on procedural memorization of mathematical concepts. The Common Core States Standards (CCSS) eight Mathematical Practices will demand this paradigm shift as an every day classroom occurrence. For this to happen, your school and district must establish a strong ongoing professional development system that provides every teacher with the confidence and pedagogical knowledge capacity needed to improve their mathematics teaching and their judgments on the assessing of student learning. How will teachers and administrators develop and improve their knowledge capacity for teaching and learning mathematics? They will need to mutually identify and undertake a coherent professional development experience that leads to effective action and practice. Professional development of teachers that relies on one-shot workshop models, that is strictly provided outside of the context of the teachers’ work environment, and that nurtures an expectation of teacher isolation without support for implementation, is not supported by research (2009, Darling-Hammond and Richardson). Professional development cannot be an event or “training” as in the old paradigm. They further cite that professional development lasting 14 or fewer hours showed no effect on [teacher] learning. The largest effects were for programs offering 30 – 100 hours spread out over 6 – 12 months. 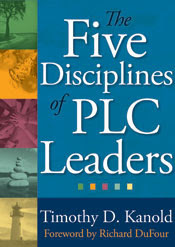 Assuming a PLC Teacher team is allowed the autonomy to work two days during the summer (16 hours) and 6 hours a month for 10 months (60 hours) they will experience about 76 hours of ongoing professional development of one another throughout the year. What is the role of number sense and quantity at this grade level? How do we teach computation with understanding? How will we teach various units of Algebra, Geometry, and Statistics using technology? How will we teach vocabulary to our ESL students? How do we teach for meaning and understanding of concepts? How do we decide best practice for formative assessment learning in this unit of instruction? How do we respond to students who need additional support for learning? How do we decide the types of homework and daily rigor of student mathematical tasks? Too often, professional development for mathematics feels disconnected, too disjointed and a bit overwhelming for teachers. 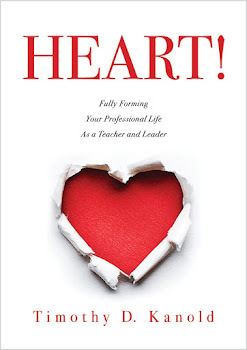 Hayes Mizell, in Why Professional Development Matters (2010), indicates, “The effectiveness of professional development depends on how carefully educators [Principals and teachers] conceive, plan and implement it. There is no substitute for rigorous thinking and execution” (p.10). Less is more is the new theme in mathematics professional development for both the content and the process of the professional development. And the Principal must lead this subtle but important shift – especially in light of the Common Core States Standards (CCSS) expectations for more depth with student understanding and less breadth with memorization in the mathematics curriculum. In future blog entries I will discuss the major process and product design issues for effective PLC professional development.